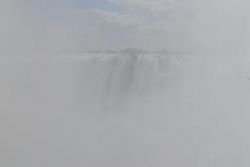 The Victoria Falls, whilst not the highest waterfall in the world, nor the widest but, in full flood this is the largest sheet of falling water in the world. 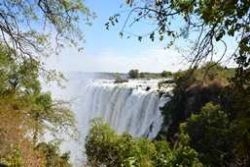 The Falls are the location of a number of high adrenaline activities such as white water rafting and bungee jumping but, for those who wish to relax, a sundowner cruise or boat trip on the river above the Falls are not to be missed. At full moon a lunar rainbow or moonbow, can be seen in the spray. 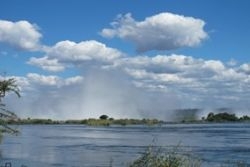 To truly appreciate the might of the Victoria Falls two visits are actually needed. 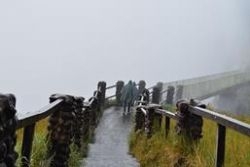 From February to May, after the rainy season, is when you'll see the greatest flow of water but you will need waterproof protection for your camera. Some activities are not available during this time due to the sheer volume of water. September to November is the time of the lowest water levels and also peak safari season for the rest of Zambia. July to September is arguably the optimum time to visit with cooler temperatures, enough water coming over the Falls and a good selection of activities.